What are you doing to maintain highest industry standards? The whole ethos about becoming professionally accredited is to demonstrate excellence to the public. After all, individuals would not fly with a pilot who was not suitably trained, qualified and accredited (licensed), or be prepared to undertake surgery with an uncertified surgeon. 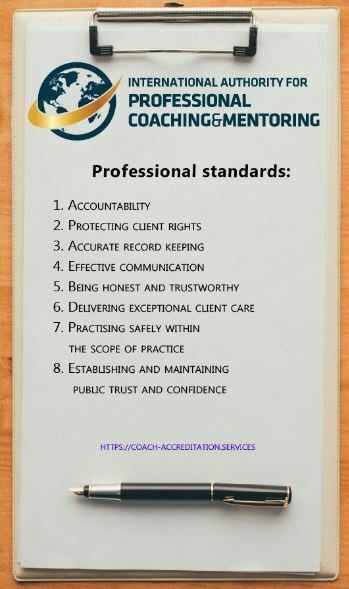 Why then would anyone expect a client to place their lives in the hands of an unaccredited coach, mentor or training provider? As head of the Professional Standards, Adele dedicates a lot of time researching the coaching community, and explores what clients want from their coaches. Therefore, she is ideally placed to identify key differentiators between accredited and non-accredited coaches, not least how it is beginning to impact on a coaches ability to do business. This will only intensify in the future because the need for regulation is increasing, and individuals and corporations alike will expect accreditation as the norm, just as they would any other profession. After all, just because you can drive and have driven for years doesn’t mean the DVLA will grant you a license, in the same way just because you’ve been helping people solve their issues for years, does not qualify you to call yourself a coach.